Kaiser, you can do better than this! 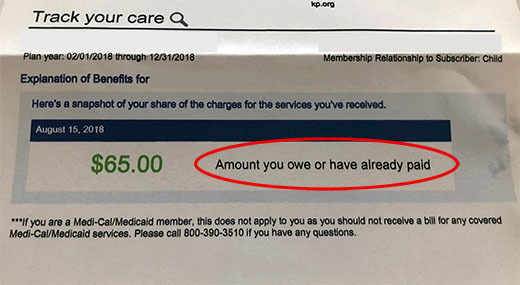 I know health care is complicated, but really, "amount you owe or have already paid"?? How about adding "or we owe you, or it's a different amount entirely." The customer's cognitive disconnect between services and pricing is already a big cause of complication in the health care market; every little bit counts.